Intraday trading in stocks & commodity market needs attention. 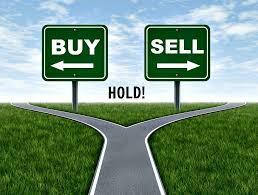 An Intraday trader buys and sells stocks and commodity ends the trading day in cash without open positions. Generally newbie traders are worried about risks when dealing with market. However, for getting success in intraday trading, it is essential to follow some basic principles. A trader must have a realistic goal in mind before entertaining into the market. It implies that he has to make an option whether he wants to become a successful trader. For this, he should keep himself open for new footings and foundation for trading. Following a trend is an important aspect in day trading, as the basic step to make profit in intraday trade is to identify the stock. Intraday charts are the guiding star to identify stocks for trading. Further, a trader should make a thorough research and before starting in intraday trade. Technical analysts, follow the concept of support and resistance level in stocks. Support and Resistance is to identify the movement of the price of a security. It will tend to stop and reverse at some pre-determined price levels, which are denoted by multiple touches of price without a step forward of the level. A fair strategy will be to buy at the last day’s support level and short at the last day’s resistance levels. A trader should learn technical analysis and be familiar with all of the tools used to scrutinize chart patterns, price movements and trading volumes for successful trading. When a trader plans to trade in the Stock market, he should be stay away from his emotions. A successful trader should always follow a good practice, as to how to trade without emotions. An adequate research helps him in making good returns from the money that he has invested.